出国旅游英语300句一、预订机票 1我想预定一张去纽约的机票。IwanttobookaseattoNewYork. 2我想订一张6月23号的单程机票。Iwantaone-wayticketforJune23rd. 3我想明天上午动身。Iwanttodeparttomorrowmorning. 4我要一张往返票。Iwantaroundtripticket. 5明天到亚特兰大的航班都是几点的?WhattimeareyourflightstoAtlanta tomorrow? 6您要头等舱的,还是要经济舱的?Willyoubetravelinginfirstclassoreconomy? 7打折吗?Isthereadiscount? 8这趟航班要飞多长时间?Howlongwillthisflighttake? 9我想搭乘直飞的航班。Iwanttotakeadirectflight. 二、更改航班 10我想取消我预定的去伦敦的航班。I'dliketocancelmyreservationtoLondon. 11如果我想推迟我的航班怎么办?WhatifIwanttoputoffmyflight? 12如果可能的话,我想改一下我预定的机票。I'dliketochangemyreservationif possible. 13我可以等退票。Youcanputmeonstandby. 14我应该提前几个小时退票?HowmanyhoursinadvanceshouldIreturnthe ticket? 15这些机票退不了吗?Aretheseticketsnon-refundable? 16我若退票的话有罚款吗?Isthereapenaltyforreturningtheticket? 17我刚刚错过了航班,需要重新确定时间。Ijustmissedmyflight,Ineedto rescheduleit. 18下一个航班何时起飞?Whendoesthenextflightleave? 19还有座位吗?Arethereseatsstillavailable? 三、办理登机手续 20看一下您的机票和护照好吗?MayIseeyourticketandpassport,please? 21我可以携带30公斤的行李吗?Canmyluggageweighupto30kilos? 22我可以随身携带几件行李?Howmanyitemsofcarry-onluggagearepermitted? 23随身的行李允许我带多少?HowmuchhandluggageamIallowed? 24我想要靠窗的座位。I’dlikeawindowseat. 25请给我靠道旁的座位好吗?CanIhaveanaisleseat,please? 26什么时候起飞?What’sthedeparturetime? 27飞机何时抵达那/这里?Whendoestheplanegetthere/here? 28我们很快就要登机了Wewillbeginboardingsoon.。 29哪个登机口是去往纽约的?WhichgateisfortheflighttoNewYork? 四、在飞机上 30我能看一下您的登机牌吗?MayIseeyourboardingpassplease? 31您能带我去座位吗?Canyoushowmethewaytomyseat? 32您介意和我换位置吗?Wouldyoumindexchangingseatswithme? 33我能把它放进头顶行李舱吗?partment(隔间,划分)? 34我需要一直系着安全带吗?DoIhavetokeeptheseatbeltfastenedatalltimes? 35我现在可以使用卫生间了吗?CanIusethetoiletnow? 36能帮我调一下空调的气流吗?Wouldyoupleasehelpmeadjusttheairflow? 37可以拿条毯子给我吗?CouldIhaveablanket? 38能给我份快餐吗?Canyouoffermeasnack? 39能给我点喝的吗?CanIhavesomethingtodrink? 五、行李提取 40请问在哪儿取行李?Excuseme,wherecanIgetmyluggage? 41从中国来的行李在哪个行李传送带上?Whichcarouselisforthebaggagefrom China? 42请问行李区在哪儿?Whereistheluggageclaimarea? 43请出示行李票。Pleasepresentyourluggagetag. 44我能用这辆行李车吗?CanIusethisbaggagecart? 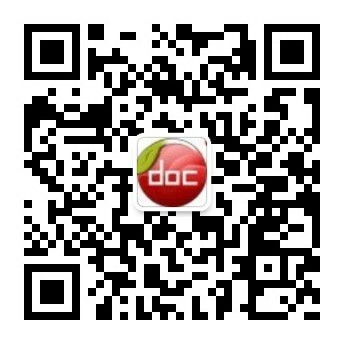 45我的一个包好像不见了。Oneofmybagsseemstobe 内容来自淘豆网www.taodocs.com转载请标明出处.